Today we say farewell to Girl Friday Bonnie. This is one of my favorite cards from her. Bonnie I will miss you! and it's been a lot of fun seeing your creations. are on SALE this month to celebrate our 4th birthday! and the first October release preview! Great card! 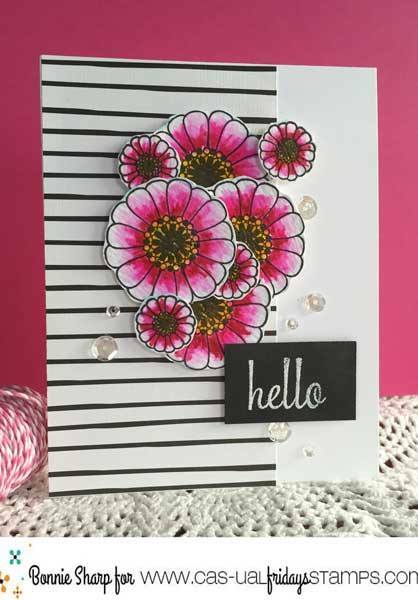 I love the bold black stripe with the beautiful flowers! Lovely contrast. Thanks for sharing it with us.